I knew from my earliest years in high school that I wanted to teach deaf children. I assumed that I would learn sign language and begin a career signing to students when I finished college. Then, my eyes were opened! 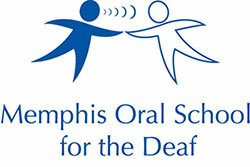 I first set foot in Memphis Oral School for the Deaf as a college student at the University of Memphis in 1972. I volunteered in the classroom for a semester and saw deaf children learning to talk! 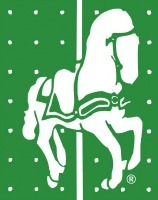 I decided to leave U of M to pursue a degree in Oral Deaf Education from Washington University in St. Louis, Missouri. During my time as a volunteer at MOSD, I learned about the possibilities available to children with hearing loss who developed listening and spoken language skills. Over my 45 years in the field, I have seen miraculous advances in technology which allowed children to have access to meaningful sound soon after their diagnosis of hearing loss. Though children still need special instruction to develop listening and spoken language skills, they are able to listen and talk and enter kindergarten with their hearing peers, thanks to the programs at MOSD! It has been my joy and delight to see hundreds of children get a solid foundation and get a good start in life at MOSD through the years. The past few months have been a whirlwind which have passed in a flash! Having announced my June 30th retirement date in December, our Board of Directors went to work with a succession plan for filling my position. I am so pleased to know that Lauren Hays, as Executive Director, and Shannon Hall, as Principal, will uphold the high standards that we have come to expect for our students. I was most honored to celebrate my career at my retirement party on May 18th! It was a delight to have former students and parents drop by for a hug and to share time with professionals and volunteers who have worked at MOSD through the years. I am so proud of all that we have accomplished with the help of our friends in the community and I will be forever thankful for your support. I know that the brightest days for our children are ahead at MOSD with the dedicated staff who will continue to shepherd them along their journeys. I know that once you are a part of the MOSD family, you are adopted for life! A part of my heart will always be at MOSD and I hope that all of you will continue to support the miracles that happen in our very special family.